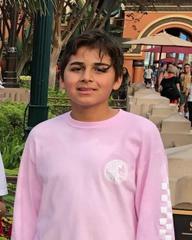 The Costa Mesa Police Department (CMPD) is attempting to locate a missing runaway 13-year-old boy. On Jan. 29, 2019, at 1:55 p.m., Diciolli left his group home located at the 200 block of Joann Street, Costa Mesa, after his cell phone was taken away. Diciolli was last seen that day at about 3:53 p.m., at Costa Mesa High School. Diciolli is a chronic runaway and in the past has been recovered in Anaheim. If you have any information on Diciolli's whereabouts, please contact CMPD Detective David Sevilla, at 714-754-5360.